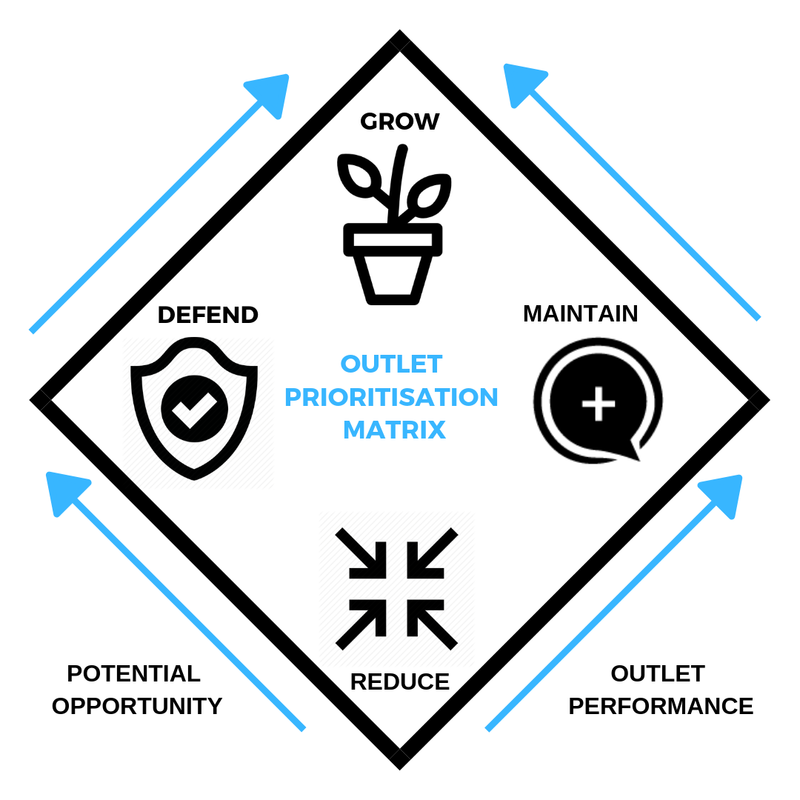 In our competitive marketplace, brands and retailers need to ensure their sales and marketing strategy is aligned to maximise sales potential, outlet prioritisation is a great tool for this. Ensuring that you have the right products in the right outlets in the right locations is key to driving uplift of sales and building brand engagement. Aligning your products to specific outlets based on the type of store, shopper audience and shopper occasion is fundamental to drive sales growth. So, what is outlet prioritisation? It starts with understanding your store estate. The Who, Why, Where. Each store will be different in terms of catchment demographic, who lives and works near an outlet or store. 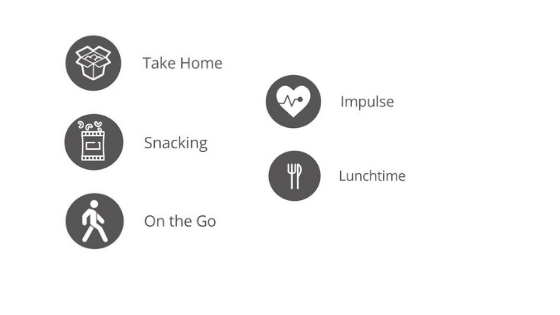 The types of shopper within this catchment, their attitudes and shopping behaviour and where the store is located e.g. out of town, residential or high street location. When considering the location of the store, outlet square footage and onsite facilities, you need to understand how the combination of all these factors will impact the shopper occasion footfall and sales potential for your products. All stores will perform differently, but if you can measure and analyse the potential for each store through outlet prioritisation – a more strategic approach to unlock your brands true potential! The location of a store impacts its potential audience, the demographic profile or make-up of consumers and therefore shoppers in the area. e.g. Is it an area of high affluence, low affluence, retirees’ students, workers etc ? , snacking and lunch purchases. Behaviour of shoppers is driven by the reason they need to purchase an item and therefore affects the overall product choice, from brand, price and volume to overall size of pack. Once you have identified the different types of store within your estate or distribution network, you can group similar stores into segments. Consumer and shopper occasion segmentation is the backbone to seeding the right brands in the right outlets ensuring the quality and range of brands and products meets shopper & consumer expectations. Building aggregated outlet segments allows you to implement effective range planning by relevance but also pricing and promotions. After you have identified and understand each types of stores potential, you can align sales and marketing to optimise resources for each. 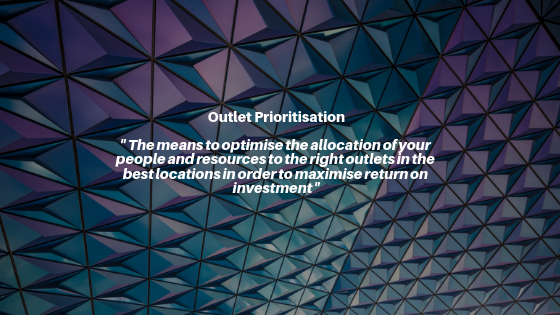 Your business strategy needs to consider the mix of outlet segments to ensure you are prioritising resource where you can make the greatest difference and have the most potential. Brands and retailers can determine where to focus merchandising, stock levels and sales resource based on current performance but also key indicators of potential opportunity. Performance will vary across all your stores and if you can understand the pattern of the factors that influences and impact performance you can then roll this intelligence out across your estate to prioritise resource. A one size fits all approach will not keep businesses ahead of their competition and the forefront of consumer minds. Outlet prioritisation should be analysed in context of your own business model and outlet estate. Retail location, size of store, past sales figures, demographic mix, footfall etc could all be elements you analyse for your prioritisation model. So, what does outlet prioritisation look like? Outlets that are under performing based on the opportunity they represent, should be flagged as a growth opportunity. Resource should be concentrated on these outlets. Poor performing outlets that due to their ‘type’ don’t offer the opportunity to grow any more, need to be analysed to identify whether they could perform at the same rate with less resource, both sales and marketing. If this is the case the resource could be re-assessed and potentially reduced to be diverted to more promising outlets. Outlets that are performing well and are aligned to the opportunity available need to be monitored and maintained to ensure the outlet is delivering against expectations. These outlets, if performing well and in good locations, will require additional support to ‘defend’ market share of products and specific brands against the strong competition. In this situation you will need a proactive defend approach/strategy and prioritisation of resources. To conclude, unless you understand your outlet and store matrix you cannot devise a strategy to ensure your businesses resources are applied in the right areas, optimised for growth. Whether launching a new brand, trying to increase product ranging or market share, understanding your outlet estate and implementing outlet prioritisation is essential. Sign up below to hear the latest on our case studies, articles, news stories and promotions.